This is a fun and interesting bridal shower game in which guests will have to match the name of the animal with their male and female mates name. 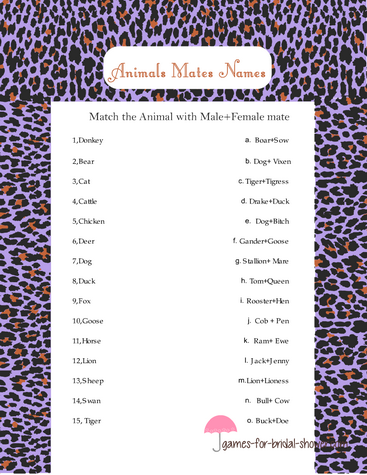 I have prepared this game in three colors to match the theme of your bridal shower party. You can easily print this game using your home printer. 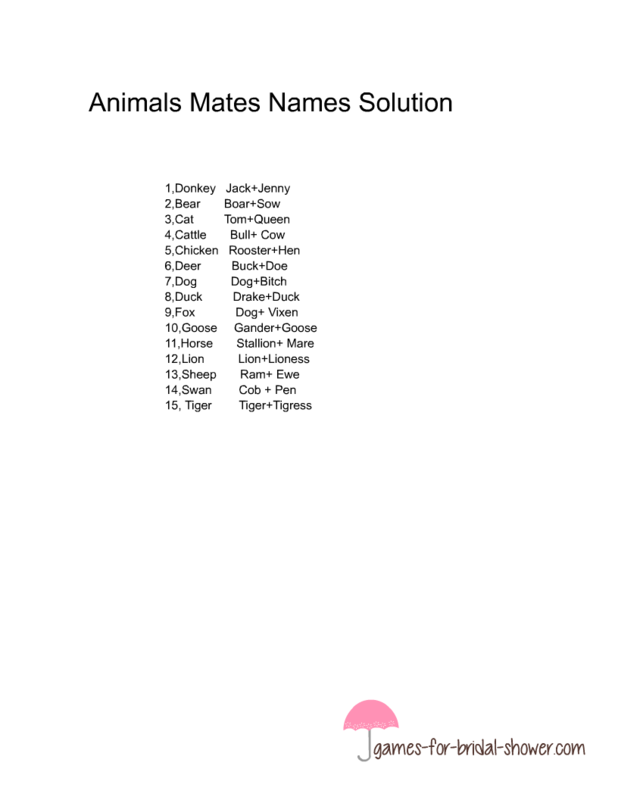 Click here to download the free printable solution for this game. Click on the image shared above to view the larger version of this game printable. You can save the image by right clicking on it. I have made border of this game in pink cheetah print, so it will match both the theme of the bridal shower and the theme of the game. 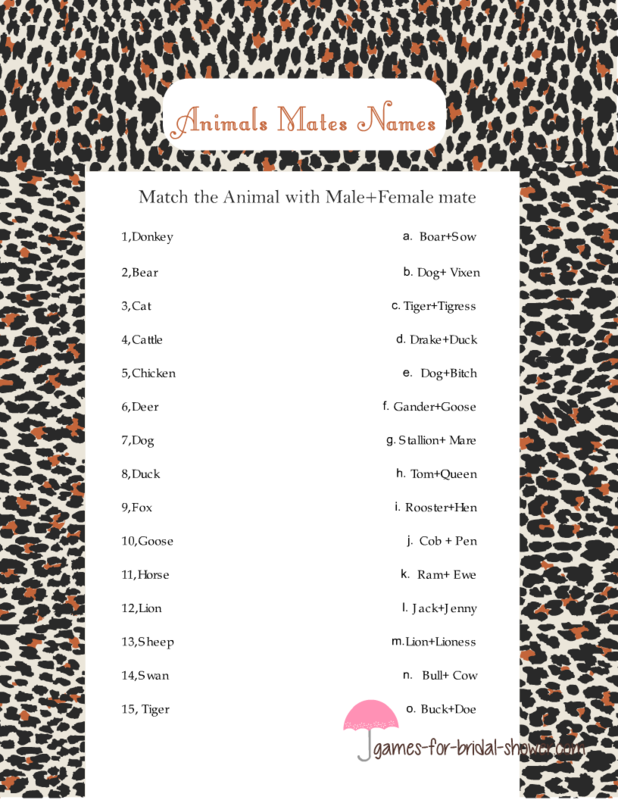 Your guests will surely enjoy the games that I have made on this website and they will also appreciate the designs. 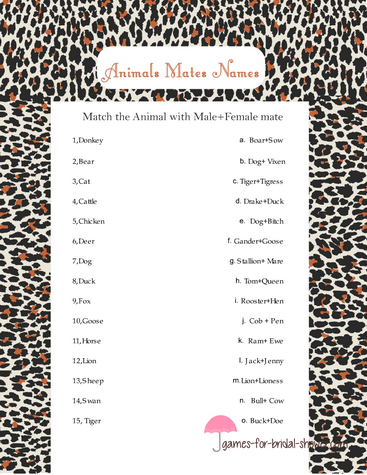 Here is the free printable for this game with Cheetah print border in lilac color. This is another color scheme for this game. An off-white border will match any bridal shower party theme.